We’d love your help. Let us know what’s wrong with this preview of The Daughter's Tale by Armando Lucas Correa. To ask other readers questions about The Daughter's Tale, please sign up. Horrible things happened during WWII as we know. Books were burned. Jews arrested. Millions were killed. Children were separated from their parents sometimes initiated by mothers and fathers in efforts to save their children. In this story, based on true events, a small village is destroyed with almost no survivors. This novel reflects the strength of the people in the French resistance and tells the story of difficult decisions a mother makes to save her children. Memories are pushed back and a Horrible things happened during WWII as we know. Books were burned. Jews arrested. Millions were killed. Children were separated from their parents sometimes initiated by mothers and fathers in efforts to save their children. In this story, based on true events, a small village is destroyed with almost no survivors. This novel reflects the strength of the people in the French resistance and tells the story of difficult decisions a mother makes to save her children. Memories are pushed back and a life of secrets was led for decades by Elise Duval. I read a lot of WWII books and it seems there is always something to learn. In this case, it was the horrific fate of the people who lived in a small French village, Oradour-Sur-Glane. While it has its merits and is meaningful in that it based on real events, I have to judge this book against other WWII novels I have read. This is important and sad, but I can’t give it more than three stars. The writing style, flat and straight forward at times didn’t captivate me. There are several very positive reviews and I recommend you read those as well. This was an ongoing monthly read with my lovely book buddies Diane and Esil. Angela M Brenda, thanks. There are a lot of positive reviews . I’ll be interested in your thoughts. I know it's only January but I have a feeling this could end up being my favorite historical fiction read of 2019. This book gripped me pretty darn near close to the start and didn't let up until the last page. I highly recommend this one even if you feel like you have read one too many WW2 historical fiction books. It's worth reading. Eighty year old Elise Duvall has been living in New York for the past seven decades when she receives quite a shock. A woman has contacted her and wants to deliver I know it's only January but I have a feeling this could end up being my favorite historical fiction read of 2019. This book gripped me pretty darn near close to the start and didn't let up until the last page. I highly recommend this one even if you feel like you have read one too many WW2 historical fiction books. It's worth reading. Eighty year old Elise Duvall has been living in New York for the past seven decades when she receives quite a shock. A woman has contacted her and wants to deliver letters written to Elise by her mother during World War 2. Time has a way of helping you forget your past but now all of it will come back to the surface for Elise along with so much she never even knew about. I like when historical fiction books are able to teach me something. In this case there were two things I didn't know about prior to reading. One was the tragic massacre of a village in France in 1944. Another thing that was part of the plot was the ship that left Germany with refugees bound for Cuba. The way both were weaved into the plot made for a compelling story and I am thankful the author chose to include them as it made me interested in looking up more information about both after I was done reading. Most people liked The Nightingale by Kristin Hannah and I think if you enjoyed that one you should definitely check this one out. While I thought that book was well-written it took me until almost the end before I felt a strong emotional connection to the characters. With this one it was so easy to immediately feel for the character of Amanda and your heart breaks with the choices she and other characters had to make not knowing how history would play out. One of the themes of the book is what you would be willing to do for someone you love and the different scenarios that played out have left me thinking about them still even though I finished the book days ago. I love when stories just stay with you in your head and that's why this was just a really good reading experience. Christine Well, this sounds like a must read, Katie! Such a fine review. Onto the list it goes!! Katie B Christine wrote: "Well, this sounds like a must read, Katie! Such a fine review. Onto the list it goes!!" Thank you so much Christine! I hope it is a g Christine wrote: "Well, this sounds like a must read, Katie! Such a fine review. Onto the list it goes!!" Amanda and Julius Sternberg were soon to be first time parents to a baby girl they would name Viera in 1933. They owned a book store in Charlottenberg, Germany. Amanda was supposed to get rid of all the books that were considered offensive, unpatriotic, or not sufficiently German. The intention was to eliminate all Jewishness from the printed universe. Julius had just started a new medical practice which was growing nicely. Bookshelves were piled high with Amanda brother’ Amanda and Julius Sternberg were soon to be first time parents to a baby girl they would name Viera in 1933. Bookshelves were piled high with Amanda brother’s books. He was a Russian poet but he had left Germany several years earlier for a Caribbean island. She also had many of her father’s storybooks that he had read to her when she was a child. She was trying to figure out which book she would save - only one. The others she was going to be burned. She decided to protect the French botanical album with its hand-painted illustrations of exotic plants and flowers that her father had given her. Getting rid of all the wonderful books felt like a mother casting her child into oblivion. Devastating!! “The era of extreme Jewish intellectualism has come to an end, and the German revolution has again opened their way for the true essence of being German”. but Frau Strasser put the death of threat to Amanda - a last warning - she needed to burn all those books. Horrific bonfires of burning books were going up in flames around the city. Tears rolled down Amanda’s eyes as she began throwing books onto the floor preparing them for the worst. “Where they burn books, they will also end up burning people”. Being Jewish themselves - with friends in France - Amanda and Julius could secure a safe passage and leave everything behind starting new in Paris or some small town. However, Julius felt he could not abandon his cardiac patients. Viera was born in 1934 in Berlin.....born into a hostile world. Amanda had saved that botanical album and would often read to her baby in French or Latin. A year later, in 1935, another daughter, Lina, was born. Lina had the most prominent blue eyes with golden curls. Viera had reddish hair and honey-colored eyes. Julius was worried about Lina. She was tiny and weak. She had little interest in food. Lina was smart-as-a-whip though and seemed more mature than Viera. The city was in uproar. Things were getting worse. People rushing and bumping into each other. A Jewish synagogue went up in flames. Julius was nowhere to be found - was kicked out of his medical building. When Amanda was nervous-afraid - or worried she counted in silence. six—( she later taught her children this calming exercise). Eventually- Amanda learned the unspeakable - shocking truth. Julius was in Sachsenhausen: “a forced labor camp on the outskirts of Berlin. No one came back from Sachsenhausen. My heart continued to break as this story went on. Amanda received a beautiful letter from Julius. He could no longer walk. Julius was in a dark cold place where you knew he was going to die - but the way he expressed his love to Amanda and their little girls - just wrecked me. “My Amanda, I want you never to forget we were happy once. Your Julius”. The cruelties of war are impossible to fully climb out of. I’m always left with war is war is war ... HORRIFIC - i never understand it. It’s NEVER GOOD!!! Innocent people - German children - have been shunned by the whole world . Jews are still recovering. Generation after generation innocent people have been wiped clean. I’m going to stop here as I don’t want to give any of the main specifics away of what happens as the story continues. .....You’ll meet 80-year-old Elise Duval in the year 2015.... and learn how she fits into this story. BASED ON TRUE EVENTS!!! Thank you to Goodreads friends, Katie and Tammy. When I read their wonderful reviews- I knew I wanted to read this. Thank you -to my reader- friends before me. I was inspired. Glad I didn’t miss this story. The ending was so deeply felt. The authors notes excellent too. Page turning! It’s easy to inhale this book in one or two sittings. Elyse Walters Thank you 🌙 MOON-GIRL 🌛🌖🌚. Like his ‘The German Girl’ this story includes the historic voyage of the S.S. St. Louis which left Germany with the intention to deliver these passengers, most all of whom were Jewish, to Cuba. Political issues prevailed upon their arrival, and a small handful of passengers were allowed to disembark, taking a smaller boat to come ashore in Cuba, but the rest were turned away. The release of ‘The German Girl’ brought forth survivors who shared their personal stories with Correa, and out of those painfully shared personal histories, the idea for ’The Daughter’s Tale’ began to take shape. Mothers and daughters, how one mother is forced to make one decision after another in order to save the lives of her daughters, often at her personal expense. Sending them to a place she believes will offer them safety, to become part of another family, a family that will change over time, as well. Names are changed. Life changes, and lives change. And war changes everything. Once again, Correa shows us another historically significant event - the horrific slaughter in the village of Oradour-Sur-Glane, in Haute-Vienne, France - portrayed with accuracy, but without being overly gruesome in detail. This story begins, briefly, in New York City in 2015 with Elise Duval, an eighty-year old woman, and weaves it’s way back to 1930s Germany, to the lives of Amanda and Julius Sternberg, and their two daughters, Viera and Lina. In part, this is also an epistolary novel, including letters that Amanda writes to her daughter over the years, beginning in the summer of 1939. Throughout, secrets are exposed as we follow this family’s experience of the Nazi occupation in these various places, along with the sense of the growing fear. Fear makes those who have no issues with the Jews or the others targeted, to shun them in fear of Nazi retaliation. The determination of one woman to protect her daughters, the sacrifice she is forced to make for their safety, the heartbreaking guilt she feels for her decision, and the painful memories of the past that return to haunt another woman’s final days. Cheri Thanks so much, Deanna! I received this book through the First Reads giveaway program. A powerful book of the Holocaust, from the perspective of a young girl. Heart wrenching in the honest examination of lives forever changed by the brutality of the war. And yet through it all love, hope, and determination survive. I loved “The German Girl” by this author and was excited to read his new novel. From reading the blurb for this book I was hoping that there would be more and continued events and stories from people aboard the St. Louis. This is the ill fated ship that carried German Jewish families who had some funds hoping to land in Cuba. Unfortunately by the time the ship lands the Cuban officials refuse most of the passengers for political reasons and only a handful are allowed to disembark. This sent the I loved “The German Girl” by this author and was excited to read his new novel. From reading the blurb for this book I was hoping that there would be more and continued events and stories from people aboard the St. Louis. This is the ill fated ship that carried German Jewish families who had some funds hoping to land in Cuba. Unfortunately by the time the ship lands the Cuban officials refuse most of the passengers for political reasons and only a handful are allowed to disembark. This sent the rest to other countries that wouldn’t accept them and eventually back to Germany and for some concentration camps. The book starts with a phone call that an older woman Elise Duval receives from someone who had recently visited Cuba. A woman and her daughter visit Elise and bring with them an ebony box containing letters, photographs and more. It is such a shock that Elise collapses and has to be taken to the hospital. This book ultimately is a story of mothers and daughters and the difficult decisions that sometimes had to be made to protect their children. Some got sent away to live in another, safer country, some were sent to live in the French countryside which was felt to be safe. I thoroughly enjoyed these parts of the book and felt for the terrible decisions that people had to make. I read a lot of WWII books and unfortunately for me there wasn’t really anything new in this book that I hadn’t read about before, although I appreciate the extensive research the author must have done to write this novel and the fact that it's based on true facts. I already knew about the St. Louis from The German Girl and also had read another book about the terrible slaughter of women and children that was carried out in Oradour-Sur-Glane, by their own countrymen who were now following the Nazi’s and their rule of the country. Extremely immoral and unbelievable events. I think that this is a good book to read, particularly if you know nothing about the above mentioned events. I did think there were a few too many characters to keep track of and at times I found it a bit confusing. There isn’t much that takes us back to Elise in her older age, and I think that would have made it more interesting for me. It’s still a good book and I recommend it to lovers of historical fiction. Dorie - Traveling Sister :) Nicola wrote: "Fantastic and honest review Dorie! :)"
Thanks for reading Nicola. I really wanted to like this book as I liked his previous one, but it Nicola wrote: "Fantastic and honest review Dorie! :)"
Dorie - Traveling Sister :) Lindsay - Traveling Sister wrote: "Great review Dorie! Wish it would have worked out better for you though"
Dorie - Traveling Sister :) Diane S ☔ wrote: "So far it's just okay. Not too much new here, and to be honest I could take it or leave it. Maybe I've just read too many from this Diane S ☔ wrote: "So far it's just okay. Not too much new here, and to be honest I could take it or leave it. Maybe I've just read too many from this time period, so it's harder for one to be a stand out." Diane S ☔ Ended up giving it a two star rating. Have not yet written my review. It is harder, for me as well. A good historical novel, such as this one, enables to see events through the eyes of the characters we have gotten to know on the pages. This makes the facts laid out on a dry history text become more vivid and involves our emotional reactions. I became informed about two events with which I was unfamiliar. I had not heard or read about the massacre by the Nazis of the village of Oradour-sur-Glane in France, 1944. Six hundred forty-two men, women and children were slaughtered. I knew of the sh A good historical novel, such as this one, enables to see events through the eyes of the characters we have gotten to know on the pages. This makes the facts laid out on a dry history text become more vivid and involves our emotional reactions. I knew of the ship, St. Louis, which in 1939 carried over 900 passengers, mostly German Jewish refugees. They were refused entry into Canada which is a blot on our history. I did not know it was the same ship first denied permission to land in Cuba, and then refused entry to the USA. They were forced back to Europe where most died in concentration camps or in the chaos of war. The book chronicles a dark and evil time. Families were decimated, substitute families formed, millions died. It touches on many lives lost, how some people managed to survive the horror, sacrifices made, and difficult decisions, guilt, terror, and some kindness under risk to lives. The main theme was of a mother’s love for her children, She would do anything to enable them to survive the war. The story centres on a Jewish family, living comfortably in Berlin, 1939. The father is a successful cardiac physician, whereas the mother owns a bookstore. Amanda Sternberg and husband, Jules have two young daughters. Amanda is ordered to burn the books in her shop. As the books are set on fire she thinks those who burn books would next be burning people. Jules is sent to a work camp, from which no one returns. Amanda with her two little girls manage to get to France where they think they have found a safe haven, but the Nazis are approaching. She has received only two permits to board ship to join her brother who lives in Cuba. She is desperately deciding who will board the ship. The family is shattered as a result of her choices. This is just the beginning of the story. I won’t give away the rest of the plot, except to say that there are heartbreaking events which occur in Nazi-occupied France. The author is a Cuban who has won literary awards from the National Association of Hispanic Publications as well as journalism awards. He now lives in NYC, and his historical novels have been translated into more than a dozen languages. Highly recommended for people who enjoy historical novels based on fact, as well as books focusing on WW2. I won this via goodreads giveaways in exchange for an honest review. All my opinions are my own . I loved this but wasn't in love with it. The author has a lovely style of writing and the imagery created was beautiful/haunting/horrifying. A powerful story in a quiet way.. if that makes sense? Another piece of history I now know about that I had no clue of before. I enjoyed (right word?) Lina's story. It broke my heart quite a few times, the ending especially touching. Wish I had loved this more ( I won this via goodreads giveaways in exchange for an honest review. All my opinions are my own . Wish I had loved this more (I seem to be in the minority) but will still recommend this to friends and family. Was this book as good as Lilac Girls or The Nightingale? No, but it was a good read. The Daughter's Tale tells the story of one daughter's trials and travels as she struggles to grow up and survive WWII. While there is certainly atrocity in the book, there is also humanity and kindness, which helps the reader get through the difficult sections. As a reader, I enjoyed the main part of the book, sections 2-5, but I did not like sections one and six as much. I understand why those sections were nece Was this book as good as Lilac Girls or The Nightingale? No, but it was a good read. The Daughter's Tale tells the story of one daughter's trials and travels as she struggles to grow up and survive WWII. While there is certainly atrocity in the book, there is also humanity and kindness, which helps the reader get through the difficult sections. As a reader, I enjoyed the main part of the book, sections 2-5, but I did not like sections one and six as much. I understand why those sections were necessary, but I didn't like the way the author chose to structure it. I think I would have preferred both sections to come at the end because I ended up having to go back and re-read the first section in between sections 5 and 6 anyway. I was also a bit confused by the part where elderly Elise says that she betrayed the priest. I thought that Henri had done that. In addition, I wished that there were more at the end about what happened to some of the other characters. I realize I may be in the minority, but I want to know more about what happened to Danielle, Viera, and Marie-Louise. I grew to like and care about many of the characters in the book, which is a tribute to the author for crafting them so well, so it was hard to just accept a sentence or two summation as the end for each. I think I also would have liked to know more about what Danielle was thinking and feeling during all of this. Many thanks to #NetGalley and Atria Books for allowing me to read an advanced readers's copy in exchange for an honest review. I believe it is very important to read books that tell the stories of those who lived during the era of the rise of Fascism, the second World War, and the time afterwards. They have much to teach us and are still very applicable to our lives. Sometimes fiction is the best way to share a story and regardless of whether these are "real" characters or not, there were in fact many people who went through experiences like the ones shared in this novel and they no doubt served as an inspiration to the author. There has seemed to be a real explosion of books based on this particular era and many do it by telling the story both in the past as it was occurring and in a look back from the present day. Correa chose to do this too, but quite differently from most authors. He introduces us to Elise in the present day. She is an older woman whose health is poor and who only has a daughter and grand-daughter as family. She receives a phone call from a stranger who wishes to visit her and give her some letters that are written in German. Upon the arrival of her visitors, the shock is too much for Elise and she collapses, waking some time later to find herself in hospital close to death. She uses breathing techniques to calm herself down as she faces what she believes to be her final moments. The story then moves into the past and doesn't return to the present until almost the end of the book. The story itself is a heart-wrenching one.. Amanda Sternberg and her husband live in Berlin, deeply in love. He is a cardiologist. She runs a bookstore and they are expecting their first child - a daughter. Life is beginning to be very difficult for them. Amanda must turn over any books that are "suspect" to be burned and she can't bring herself to do it. She hides one under her pillow and means to sort through the rest, but leaves it too late. A mob comes in and burns all of her books. Life continues and after the birth of their daughter Viera, another daughter named Lina comes along. Her husbands cardiology practice which had been booming - including some patients who were Nazi officials - is suddenly reduced to nothing. and then he is arrested and sent to a concentration camp. One of his erstwhile clients informs Amanda of his death and the fact that he had been preparing to to move the family out of Germany to Cuba where Amanda's brother lives. She is told to take her daughters to where she can load them on a boat that is heading to Cuba. When the time comes to send them off, she has a difficult choice to make. One daughter goes and one remains. I don't want to spoil the story by telling everything that happens.. Life is not easy for those left behind. Initially they move to a small village in France where they feel at least some sense of safety, but nowhere in Europe is really safe and when France capitulates, the writing is on the wall. There are some twists and turns in the story. It is beautifully written and kept me hooked from start to finish. An ARC was provided to me for free by the publisher via NetGalley in exchange for an honest review. New York, 2015: 80-year-old Elise Duval receives a phone call from a woman who has recently arrived from Cuba. The woman has letters written to Elise by her mother in German from WW2, unravelling secrets that have been left untold for 70 years. Berlin, 1930s: Bookstore owners Amanda Sternberg is fleeing Nazi Germany with her two young daughters. She arrives in unoccupied France with only one. I wante An ARC was provided to me for free by the publisher via NetGalley in exchange for an honest review. I wanted to love this novel. I am a huge fan of historical novels, especially ones taking place during the World Wars. But I never found myself completely immersed in the story. I'm pretty sure I read a translation and this may be the issue, but the writing was a bit dry. It didn't have the emotional pull I expected, which prevented me from really engaging with the story. I made it about 40% before I gave up, but I really did enjoy the premise. I think the story introduced great hints for intriguing secrets. I just wish I had felt the need to keep reading to discover them. Books that take place during WWII are some of my absolute favorites to read. May we never forget the horrific atrocities committed by Hitler and the German Nazi's. My heart breaks into a million pieces with every new story read but I find them so important to read. I just can't not read them. Thank you so much to the publisher and Netgalley for providing me with an advance copy of The Daughter's Tale. This story and these characters will stick with me for a long time. This is definitely going to Books that take place during WWII are some of my absolute favorites to read. May we never forget the horrific atrocities committed by Hitler and the German Nazi's. My heart breaks into a million pieces with every new story read but I find them so important to read. I just can't not read them. Thank you so much to the publisher and Netgalley for providing me with an advance copy of The Daughter's Tale. This story and these characters will stick with me for a long time. This is the second book I’ve tried to read by this author, and it is the same style of writing with descriptive, dry prose. The read is not engaging for me. I loved everything about this book. The characters were so real and I felt their pain and joy and their hopefulness. Highly recommend. 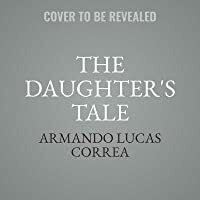 Thank you NetGalley and Armando Lucas Correa for the opportunity to read his new book The Daughter's Tale. Berlin in 1939 isn't a safe place for Jewish people to live. Life changes quickly for Amanda Sternberg, her husband Julius, and their two daughter's Viera and Lina. Amanda owns her family book shop, and her husband Julius is a respected cardiologist. The Germans burn down the book shop and Julius is sent to a concentration camp. Julius had been worried about his families safety for sometime , h Thank you NetGalley and Armando Lucas Correa for the opportunity to read his new book The Daughter's Tale. Julius had been worried about his families safety for sometime , he has secretly saved a large sum of money and has made plans for them to leave. A parent of one of his patients agreed to provide the opportunity for Amanda to flee Germany and she has to leave quickly and has no time to dwell on what will be her husbands fate. Desperate to save her daughter's they leave Germany, and go to France. Amanda has a chance to save her daughter's, to send them to Cuba and a ship called the St Louis, she decides her youngest daughter Lina is too young to make the journey and only sends her eldest daughter Viera..
Part of her husbands plan was for Amanda to go to France, to stay with his friends widow Claire and her daughter Danielle. Once Amanda reaches France life is not easy, she misses Viera and she has to come to terms with the death of her husband in the concentration camp, her future and her daughter's lives have been changed forever. She writes letter's to Viera, every letter is returned unopened and she has no idea what happened to her daughter and if she made it to Cuba? Amanda and Lina are eventually taken from Claire's house to a concentration camp and Amanda will do anything to make sure her youngest daughter is safe. In France, the German's round up all the people in the village, all the women and children are taken to a church in Oradour-Sur-Glane and the church is set alight by the German SS. Lina is one of the lucky children to survive and the book is about what happens to her after the fire. New York in 2015 , Elsie Duval receives a call from a woman who explains that she has letters written by Amanda to her daughter all those years ago and the shock causes her to have a heart attack. Ida Rosen and her daughter Anna deliver letters written to a girl called Viera by her mother almost 70 years ago. They fly to New York to deliver them to the person to a woman who they believe might be Viera and is she? The Daughter's Tale is typical of this genre WWII book; and while I enjoyed reading it, I found myself comparing it to other books I've read and my attention wandering, remembering The Alice Network and Lilac Girls. I wanted more of the girl's stories. This is me, not you. I think many will find a story of love, guilt, redemption and a meticulously researched true story. BERLIN, 1939. The dreams that Amanda Sternberg and her husband, Julius, had for their daughters are shatte The Daughter's Tale is typical of this genre WWII book; and while I enjoyed reading it, I found myself comparing it to other books I've read and my attention wandering, remembering The Alice Network and Lilac Girls. I wanted more of the girl's stories. This is me, not you. I think many will find a story of love, guilt, redemption and a meticulously researched true story. Having visited Oradour-sur-Glare several years ago and seen the awful emptiness and complete waste of lives I was interested in this book as the blurb intermated that it was based on the story. The author does his homework and I read The German Girl which I enjoyed. The story is filled with sadness, displacement and bravery and I found myself getting emotional many times. I have been reading a lot of WW2 books. This was a great book of the time period. This book is based on a true story. It tells of a mother's desperate struggle to save her daughters during one of the darkest periods in our history. It is a story sacrifice and love. I received an advanced readers copy and all opinions are my own. Loved it just as much as the German Girl. Great historical fiction story of WW2, with engrossing characters. Would have been a 5-star rating if not for the somewhat rushed ending. This was a good book. It was very moving yet still had a sad ending with a little happiness. The sadness well worth the read. This was my first book by Armando Lucas Correa. It tells the story of Amanda's, quest to protect her daughters during WWII. It is a heartbreaking and riveting story that will satisfy historical fiction lovers. I really enjoyed the first half of the novel, I felt it moved at a good pace and had a strong plot. I found the characters engaging and was interested to see what would happen to them. However, I felt that the author introduced too many characters in the latter part of the novel and the con This was my first book by Armando Lucas Correa. It tells the story of Amanda's, quest to protect her daughters during WWII. It is a heartbreaking and riveting story that will satisfy historical fiction lovers. I really enjoyed the first half of the novel, I felt it moved at a good pace and had a strong plot. I found the characters engaging and was interested to see what would happen to them. However, I felt that the author introduced too many characters in the latter part of the novel and the conclusion of the novel left me feeling a bit flat. - Your mom would do anything for you, and this book is proof of that. The first third explores the mother-daughter relationship and it’s definitely heartbreaking. - As with any historical fiction book, you get to learn about real events that took place and I’m glad to learn about the specific stories highlighted here. I truly think books like this help expose the atrocities committed in this war, force us to remember even when we want to forget, and hopefully help us better empathize with other - Your mom would do anything for you, and this book is proof of that. The first third explores the mother-daughter relationship and it’s definitely heartbreaking. - As with any historical fiction book, you get to learn about real events that took place and I’m glad to learn about the specific stories highlighted here. I truly think books like this help expose the atrocities committed in this war, force us to remember even when we want to forget, and hopefully help us better empathize with other human beings. However, from a readers prospective, it didn’t have the same powerful punch as other WWII stories I have read before. It had a more passive storyline than an active one. However, I do get it because her entire childhood (Lina’s) had been full of devastation and she had no choice but to go through the awful circumstances she found herself in. As she recalls her number of deaths throughout her life, it completely made you understand her numbness to the pain she’s gone through. I thought that phrasing was one of the most powerful points of the book. Another strong theme was the counting of heartbeats, and the last letter made me cry a little bit. 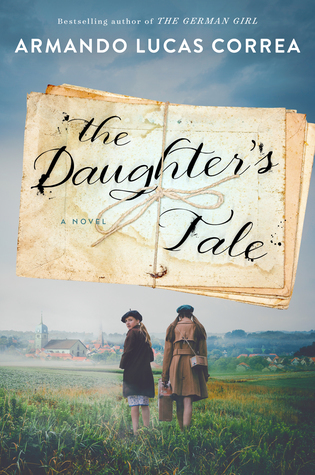 Correa is a master storyteller, and for lovers of historical fiction, “The Daughter's Tale” will undoubtedly become a favorite. Correa weaves a heart wrenching, beautiful tale of life and struggle during a particularly devastating event in WWII French history about sacrifices made, and the far-reaching effects of decisions made out of love. After devouring the book in two and a half days, it has become a favorite of mine. Thank you @AtriaBooks for the generous giveaway! Armando Lucas Correa is a Cuban writer. He lives in Manhattan with his partner and their three children. Correa is the recipient of various outstanding achievement awards from the National Association of Hispanic Publications and the Society of Professional Journalism. His book En busca de Emma (In Search of Emma: Two Fathers, One Daughter and the Dream of a Family) was published by Rayo, Harper Col Armando Lucas Correa is a Cuban writer. He lives in Manhattan with his partner and their three children. His book En busca de Emma (In Search of Emma: Two Fathers, One Daughter and the Dream of a Family) was published by Rayo, Harper Collins in 2007 and for Aguilar, Santillana (Mexico) in 2009. It will be available in English, Spring 2020. His first novel The German Girl/La niña alemana was published in October, 2016, in English and Spanish by Atria Books, a division of Simon and Schuster. The German Girl is an international bestseller and It has been translated to 14 languages and it is in more than 20 countries. “From this dark, cold place, I can hear your heart. I know from memory all its movements. When you are asleep or awake, happy or sad, like today." "My Amanda, I want you never to forget that we were happy once."